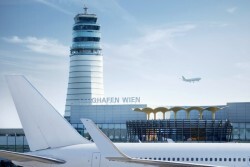 Listed Vienna airport operator reappoints Julian Jäger and Günther Ofner to the Management Board of Flughafen Wien AG. In 2020, 30m Passengers are expected at VIA. Thus, a third landing strip is essential, VIA´s management argues. However, citizen movements oppose to the plan. In an interview with „Kurier“, VIA´s board member Julian Jäger explains why the third landing strip is essential for Vienna Airport. 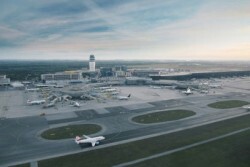 Vienna International Airport is now entitled to start the construction works oft he third landing strip. The construction works will take two years. In order to maintain competitiveness, the airport tries to attract more airlines. But also costs will have to be cut. The new board member Julian Jäger and Günther Ofner promise a “maximum of transparency”. Both want to avoid negative incidents from the past. The two new CEOs of Flughafen Wien, Julian Jäger and Günther Ofner announce to stop hiring new employees and to create a more efficient organizational structure.